Ready to spend and win this Eid Al Adha 2018? Spend AED 300 at any outlet in Mirdif City Centre this Eid and you’ll be in the draw to win up to AED 10,000 every day. There will also be an Enchanted Circus show during Eid, bringing fairytales to life. From shopping for gifts to fun games and adventures, there are so many fun things to do at Mirdif City Centre. With Eid Al Adha just around the corner, Anantara Hotels invites you and your loved ones for a staycation! They’ve got awesome Eid deals at all of their hotels, including Anantara the Palm, Eastern Mangroves Abu Dhabi, Sir Bani Yas Island and Qasr Al Sarab. Fancy staying at Anantara the Palm? Book a staycation through their website, and you’ll get up to AED 300 credit to spend at the hotel. Dubai is going to be lit next week! Don’t miss the firework shows all over town, from Deira to JBR. 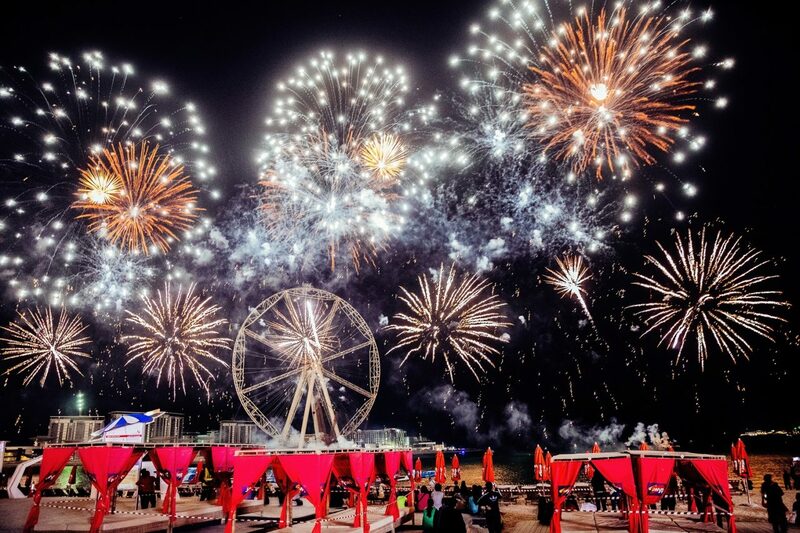 Here’s where you can watch the fireworks in Dubai this Eid Al Adha 2018. Head to Ibn Battuta Mall this Eid for an out-of-this-world experience! Honouring 60 years of space exploration, Ibn Battuta Mall invites you to its Discovery Channel space exhibition. There will be an outer space simulator, a VR capsule, a Mars Rover replica, a mini space station and so much more! Fancy brunching on a boat? The QE2 Dubai invites you all to to a special Eid brunch, where you can enjoy live music, free flowing drinks, international dishes (including British roasts and live cooking stations), a kids buffet and a playing area to keep the little ones entertained. If you haven’t watched the spectacular La Perle show yet, here’s your chance! During Eid Al Adha 2018, you can enjoy major discounts on the Eid Family Package. Book your Silver or Gold tickets for four people or more and you’ll get at least 50% off the ticket prices. Celebrate Eid Al Adha with the family at Deira City Centre! There’s so much going on inside the mall that your little ones will love, including live performers, jugglers, mime artists and more. Got a sweet tooth? Don’t miss The Red Icon fantasy world, where lollipops, chocolates and candies will come to life. IMG Worlds of Adventure is bringing your favourite characters from Marvel, Cartoon Network and Lost Valley to life this Eid Al Adha! Get ready to meet all of them and enjoy the street parade with performances from stilt walkers, acrobats and illusionists! Make your way to Dubai Mall for a whole lot of family activities and live entertainment. From arts and crafts workshops to cartoon screenings, the kids will definitely have a blast. Fancy celebrating Eid weekend with a brunch? Make your way to Saadiyat Rotana Resort to enjoy a fun family brunch. There will be over 100 dishes from around the world, live cooking stations and lots of fun games and activities for the kids.